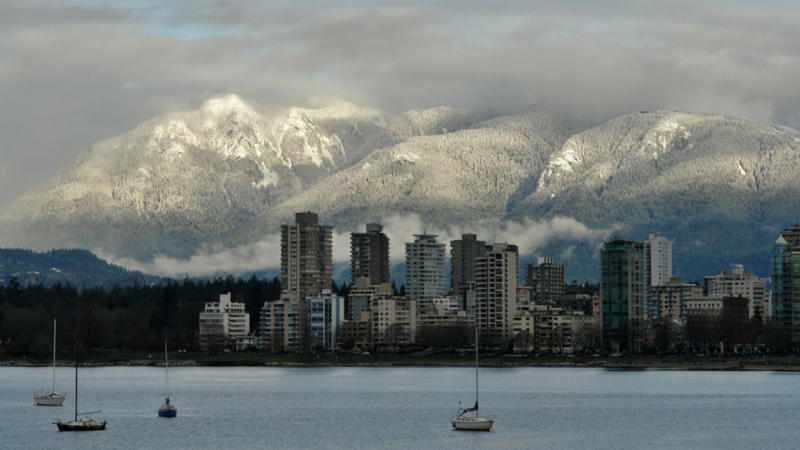 VANCOUVER, BC – January 3, 2018 – After reaching record levels in 2015 and 2016, Metro Vancouver home sales returned to more historically normal levels in 2017. Home listings, on the other hand, came in several thousand units below typical activity. The Real Estate Board of Greater Vancouver (REBGV) reports that sales of detached, attached and apartment properties reached 35,993 on the Multiple Listing Service® (MLS®) in 2017, a 9.9 percent decrease from the 39,943 sales recorded in 2016, and a 15 percent decrease over the 42,326 residential sales in 2015. Last year’s sales total was, however, 9.7 percent above the 10-year sales average. Home listings in Metro Vancouver reached 54,655 in 2017. This is a 5.1 percent decrease compared to the 57,596 homes listed in 2016 and a 4.5 percent decrease compared to the 57,249 homes listed in 2015. Last year’s listings total was 4.4 percent below the 10-year listings average. The MLS® HPI composite benchmark price for all residential properties in Metro Vancouver ends the year at $1,050,300. This is up 15.9 percent compared to December 2016. The benchmark price of condominiums increased 25.9 percent in the region last year. Townhomes increased 18.5 percent and detached homes increased 7.9 percent. “Strong economic growth, low interest rates, declining unemployment, increasing wages and a growing population all helped boost home buyer demand in our region last year,” Oudil said. Sales of detached, attached, and apartment properties totalled 2,016 in the region in December 2017, a 17.6 percent increase from the 1,714 sales recorded in December 2016 and a 27.9 percent decrease compared to November 2017 when 2,795 homes sold. Last month’s sales were 7.5 percent above the 10-year sales average for the month. “As we move into 2018, REALTORS® are working with their clients to help them understand how changing interest rates and the federal government’s new mortgage qualifications could affect their purchasing power,” Oudil said. “Only time will tell what impact these rules will have on the market. “Home buyers today should get pre-approved before making an offer to ensure that your home buying goals align with your financial situation,” Oudil said. There were 1,891 residential homes newly listed for sale in December 2017. This represents a 44.1 percent increase compared to the 1,312 homes listed in December 2016 and a 54 percent decrease compared to November 2017 when 4,109 properties were listed. The total number of homes currently listed for sale on the MLS® in Metro Vancouver is 6,958, a 9.7 percent increase compared to December 2016 (6,345) and a 20.5 percent decrease compared to November 2017 (8,747). The sales-to-active listings ratio for December 2017 is 29 percent. By property type, the ratio is 14.4 percent for detached homes, 38.8 percent for townhomes, and 59.6 percent for condominiums. Generally, analysts say that downward pressure on home prices occurs when the ratio dips below the 12 percent mark for a sustained period, while home prices often experience upward pressure when it surpasses 20 percent over several months. Sales of detached properties in December 2017 reached 617, a 14 percent increase from the 541 detached sales recorded in December 2016. The benchmark price for a detached home in the region is $1,605,800. This represents a 7.9 percent increase compared to December 2016. Sales of apartment homes reached 1,028 in December 2017, a 12.3 percent increase compared to the 915 sales in December 2016.The benchmark price of an apartment in the region is $655,400. This represents a 25.9 percent increase compared to December 2016. Attached (or townhome) property sales in December 2017 totalled 371, a 43.8 percent increase compared to the 258 sales in December 2016. The benchmark price of an attached home in the region is $803,700. This represents an 18.5 percent increase compared to December 2016. *Editor’s Note: Areas covered by the Real Estate Board of Greater Vancouver include: Whistler, Sunshine Coast, Squamish, West Vancouver, North Vancouver, Vancouver, Burnaby, New Westminster, Richmond, Port Moody, Port Coquitlam, Coquitlam, Pitt Meadows, Maple Ridge, and South Delta. The real estate industry is a key economic driver in British Columbia. In 2016, 39,943 homes changed ownership in the Board’s area, generating $2.5 billion in economic spin-off activity and an estimated 17,600 jobs. The total dollar value of residential sales transacted through the MLS® system in Greater Vancouver totalled $40 billion in 2016. The Real Estate Board of Greater Vancouver is an association representing more than 13,500 REALTORS® and their companies. The Board provides a variety of member services, including the Multiple Listing Service®. For more information on real estate, statistics, and buying or selling a home, contact a local REALTOR® or visit www.rebgv.org. Larger properties on Vancouver’s Westside are seeing the greatest drop in prices. Get news from The Velve Group! Sign up for monthly updates including Vancouver real estate market trends, featured blog articles, our current listings, recent sales, and more!